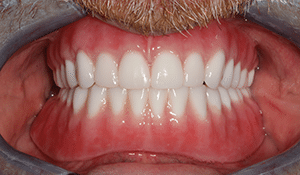 The patient came in with an upper denture that was old and unattractive. 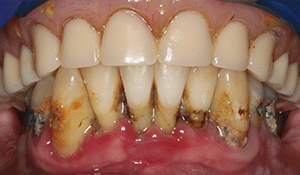 He had some lower teeth left, but they were badly decayed and affected by severe gum disease. His unhealthy teeth were extracted. 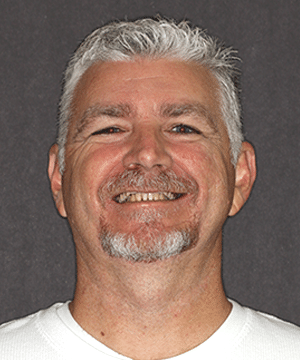 He received a new FOY (R) Denture on the top and a lower FOY (R) Denture secured with dental implants. Now he loves his new smile. And he loves being able to eat better and without discomfort. 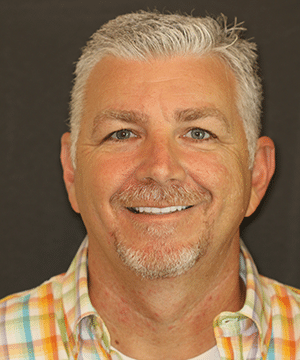 A testimonial from the patients wife: My husband's experience here was absolutely the best!! Thank you for being so kind and caring for your patients the way you do!! !